What I enjoy most about working for the County is that I am helping people who are just like me. In 2012, I applied for health insurance through the Department of Public Social Services (DPSS). An Eligibility Worker helped to process my case and kindly made sure that my family was aware of the benefits we were eligible to receive. I thought that if I was ever presented with an opportunity to give hope to someone the way this Eligibility Worker did for me, I would do so in a heartbeat. In 2013, that opportunity presented itself when I became an Eligibility Worker II. The reward is more than a pay check or stable benefits. The gratification of helping someone become able to eat, see a doctor, or get life-changing support is priceless. The County, DPSS, and currently DPH have helped me develop in ways that I did not know I could. My supervisors, manager and Chief saw my potential. Not only have I been a news anchor for a department's internal news network, but now I am responsible for marketing life-changing programs and services available to all LA County residents. Working for Los Angeles County has been one of the best decisions I have ever made. Joining the County is like joining a family. We work collaboratively to make our communities better. We take care of our neighbors in their time of need, preserve the environment, and improve the quality of life where we live. It is a noble effort which keeps many employees at the County their whole career. Personally, what I enjoy most is the pride I have in seeing the positive impact of my work for a diverse region of over 10 million residents. The County can offer an incredible array of career paths and professional development opportunities. The County provides regular training and supports lifelong learning, with tuition reimbursement and other programs available in many departments. I have benefitted from amazing mentors who provided me with encouragement and guidance. I enjoy my assignments as well as working with my team to create solutions for new challenges. With so many departments, you are sure to find a career that will put your best talents to good use while nurturing your long term goals. I enjoy the work that I perform for the department and the County. Metrology, the science of measurement, is such a vital part of our society, economy, and beyond. In my position I have had the privilege and honor of representing the County during collaborations with well-known national agencies such as the National Institute of Standards and Technology. I have had the chance to travel to conferences and trainings on behalf of the County and represented our region in discussions relating to our profession. It has been a once in a lifetime, amazing opportunity. The County has many opportunities and resources for you to explore! Take the opportunity to come and work for an organization like the County. You never know where your career may lead. My main career goal has always been to work for the common good, and at the County of Los Angeles Public Library, I have the opportunity to serve a diverse public every day. Whether it is sharing a book with a child or connecting a patron to job search resources, I feel that my work makes a difference. I can see the positive impact on individuals and the community, and it is deeply satisfying. My education gave me the base that I needed, but my training and experience with the County has propelled me professionally and developed me personally. My work is frequently challenging and I am certainly never bored. I have attended formal trainings on early childhood development, children’s literature, STEM programming, and leadership. I have also been given the chance to put these trainings into action. With the support of my supervisors and peers, I have been given a level of responsibility I did not think I could have so early in my career. I cannot think of an employer that would better meet my professional needs. Libraries promote life-long learning, and I feel that the County as a whole shares that goal for their employees. I started working for the County of Los Angeles while completing my graduate program in public administration. I started as an Administrative Assistant and had no public sector work experience. The County has given me incredible work experience in my academic field. I have worked in the areas of budgeting, contracting, human resources, and risk management. I am now a Senior Analyst for the Chief Executive Office assisting the Homeless Initiative. I am truly confident in my skills as a public administrator due to the professional development I have received in the County. I love the fact that there are promotional opportunities available within the 30+ County departments, providing employees with avenues to acquire new skills, knowledge, and abilities. In addition to the County’s generous compensation and benefits packages, the County provides job stability that is unmatched in our current economy. The County has so many avenues for professional development that there is no room for boredom with all the opportunities that are available. I would encourage anyone who is thinking of joining the County family to do it today! I have had fantastic opportunities to work on really interesting problems in my County career. I’ve had great managers and mentors who put their faith in me, gave me challenging assignments, and supported my work. As I’ve done more, I’ve been asked to take on new challenges and new opportunities. I’ve grown professionally and personally in the process. Working in IT leadership, I am in a unique position to help all of our employees have the information and tools they need to succeed in providing great service to the residents of Los Angeles County. I work with some really great people who are motivated by the same desire to make things better for the people in Los Angeles. For me, it’s really about a sense of purpose, knowing that what I do really matters. I love this job! No two days are the same. The people at the Office of the Alternate Public Defender (APD) are the best part. I work with an extraordinary team of managers, lawyers, investigators, paralegals, and IT staff who employ the highest degree of professionalism each and every day. At APD we are a team that feels more like a family. We support one another, brainstorm ideas to improve defenses and service to our clients, and are allowed the freedom to develop fresh theories to provide the best public defense. I have had the good fortune of being one of the original team of attorneys and staff that launched APD. As part of that team, I have had the opportunity to establish and expand our services throughout the County. I have gone to trial on every sort of case from misdemeanors up to and including capital crimes. Throughout it all, I have always known that I have had the support and guidance of the entire APD team. They have made it possible for me to deliver the best service possible to our clients, their families, and the courts. What I like about working for the County is that I get many chances, on a daily basis, to help people. Being a civil servant is in my DNA. I get the opportunity to help my fellow co-workers, as well as reach out to the greater community. I find all departments to be open, diverse, and welcoming. As an openly gay man, I have never been and felt treated as “other.” I interact with practically all departments and have been openly embraced by all of them. When you feel at home and comfortable, you stay. I came to Department of Human Resources (DHR) as an academic intern. I found a wonderful mentor who hired me and showed me how to interact with County management, executives, and staff. I believe that this is one of the major keys to my success and longevity in the County. I’m encouraged to come up with ideas and explore them. DHR values my input and I am free to be who I am. The County of Los Angeles is one of the most diverse and opportunity-rich environments I have ever had the privilege to work in. The opportunity to serve the public, to master new skills and to work in various geographical environments is unmatched. In one week I can be assigned to a rescue squad in Lancaster, a fire engine on Catalina Island, or a truck company in Whittier. It is a great privilege to be part of a unique team dedicated to helping our fellow citizens improve our community. The County provides competitive wages, benefits, and virtually unlimited opportunities for advancement and professional development. If you are looking for an incredible rewarding career in which you work with other dedicated public servants, that is different every day, then the Los Angeles County Fire Department is for you. Los Angeles County Department of Health Services gives me the opportunity to work in a multi-cultural environment that is rich with diversity. As a member of the Executive Leadership Team, I work directly with front line staff, patients, nurses, surgeons, and official dignitaries. The staff and patients in Los Angeles County inspire me daily. Some of the words that come to mind when I think about my organization are: innovative, progressive, mission driven, stable, challenging and exciting. As a former patient of Rancho Los Amigos National Rehabilitation Center (RLANRC) and LAC-USC Medical Center, my journey is a personal one. My first job with Los Angeles County was as a volunteer at the age of 18 years old. Today, as an Interim Chief Clinical Officer at RLANRC, I have administrative oversight of Ambulatory Care clinical and non-clinical areas. The opportunities are endless. I was a medical student at Harvard, trained at the University of San Francisco, and worked at the University of Southern California prior to joining the Los Angeles County Department of Health Services (LADHS), and I can unequivocally say that this is the best fit for me. I have been presented with leadership opportunities at a far earlier stage in my career than what I would have been given in most any other setting and been supported at every step. We are currently in the midst of a huge transformation that will turn LADHS into one of the premier safety nets in the United States. As a provider, you will not find a more exciting, engaging, or challenging time in health care or a place more thoughtful or committed to that challenge. Join us! The Los Angeles County Department of Human Resources (DHR) has helped me develop professionally and in my personal life. I entered the County uncertain of what would happened if I were to “come out of the closet.” The County welcomes diversity and creates an environment that I feel safe in. The friendships I have made through my County career have allowed me to open up and just be myself. They are accepting of my differences and that allows me to focus on the work at hand. There’s nothing more rewarding than knowing you can make a difference in the community where you live. DHR is a great place to work. There are plenty of opportunities for growth and development. I have worked in Employee Benefits, Workforce and Employee Development, Examinations, and Workplace Programs. Each division has empowered me with different sets of skills that help me enjoy my current assignment and provide the best service as a civil servant. The County is a respectful, fantastic place to work. As a gay, bi-racial immigrant, I’m embraced by my management and my co-workers for the diversity I bring. This is true not just of my demographic characteristics, but also of my experiences and background. The County is a progressive organization that values multiple points of view. My management listens and is open to my ideas for how to get things done better, faster, and with more satisfaction -- both for our customers and for our employees. I feel valued as an employee for what I'm able to do. If you have the skills to do a job at the County, I strongly encourage you to apply. The County is a place where your career can thrive, regardless of the color of your skin, where you come from, or who you choose to love. County employees have the unique opportunity to achieve higher education, develop new skills, and pursue other professionally challenging positions in the County, while maintaining the stability of their employment. I am the perfect example of an employee who started in a direct patient care position, pursued and completed a degree in management and moved into an administrative position. I feel extremely fortunate to have a very rewarding career which utilizes both my clinical experience as well as my leadership skills. If someone were thinking about becoming a County employee, I would not hesitate to tell them that choosing to work for the County was the best decision of my life. No matter what challenges I face during the day, I can count on a fellow co-worker sharing a smile or saying 'have a nice day'. And I know that the work we do is improving the lives of some of the most vulnerable citizens of Los Angeles County. Working for the Los Angeles County Fire Department has been an awesome experience. It has been a rewarding responsibility and a privilege to be a part of such an elite organization. What I have enjoyed the most - besides the friendships, teamwork, benefits, and salary - have been the OPPORTUNITIES! The opportunity to expand my knowledge base, develop skills for life, have continued education and training experiences, and develop personal characteristics such as discipline, commitment, and conscientiousness. These opportunities have enabled me to shape myself into the woman I am today. Fire protection is a very serious business. When the bell tones for anyone with a problem deemed an emergency - we will be there 24/7. If this is the type of career you are looking for, it's right here. To the women and girls today, I say to you: don’t limit yourself. If you've never thought about this type of career, think about it now. If I can do it, so can you. Working for the County of Los Angeles, I have discovered that there are endless career opportunities for people who have ambition, perseverance, and a good work ethic. I have been with the Assessor's Office, Human Resources Division for eight years. I started as an Intermediate Clerk and have been promoted to different positions. My job has turned into a career wherein I have gained a considerable amount of experience and knowledge. In addition, the Service Employees International Union (SEIU) Local 721 in collaboration with the Assessor's Office presented me with the opportunity of a lifetime, and in 2012 I earned my Bachelor's degree in Public Sector Management. With this sponsorship, I was able to enhance my analytical, verbal, and written communication skills. The Department of Community and Senior Services has provided me with a unique experience through the County Management Fellows Program by promoting a culture of continuous learning, individual development, and professional growth. My professional and personal experiences illustrate a strong desire towards establishing a career in public service, and the County has provided an unparalleled opportunity to fulfill this goal. The County offers a work environment where you will be able to develop both personally and professionally while serving others. I receive invaluable support through mentors and networks such as the Los Angeles County Management Council. I am also fortunate to have the opportunity to attend numerous trainings led by the Department of Human Resources and complete the National Association of Area Agencies on Aging Leadership Institute held in Washington, D.C. Working for the Department of Health Services and the County of Los Angeles has been very rewarding for me both professionally and personally. On a professional level, I have learned many skills and developed abilities which I will be able to apply throughout the remainder of my career in government. For example, I have learned how to interact with personnel at all levels, ranging from clerical and custodial staff to budget analysts, physicians, and elected officials. I've had the privilege of working alongside people like myself who went to community college, as well as Ivy-league educated managers. The rich diversity here is truly unparalleled, and it is one of the best parts of working for Los Angeles County. On a personal level, I have forged lifelong friendships with very smart and kind-hearted people who are truly devoted to helping others. The County fosters a genuine "family" spirit which promotes collaboration, growth, progress, and success. I enjoy the comfort and stability of working for the County, and in particular, the Probation Department. The benefits that are offered are much appreciated and allow me to immerse myself into my profession without the stress and/or worry in regards to dealing with unforeseen circumstances. The Probation Department has helped me to develop my interpersonal and communication skills. As a Probation Officer, I usually encounter clients whose life experiences are vastly different from my own. By speaking with them and focusing on their risks and/or needs, I am required to challenge myself and empathize with the client. This allows me to come up with an effective plan to resolve whatever issue is affecting the client and their family. Communicating with clients on this level makes you have an awareness that the circumstances that affect a few, could easily affect many. Being a Probation Officer opens your eyes to what is going on in the community at large. The Department of the Registrar-Recorder/County Clerk has been a great place for me to learn, strengthen my skills, discover new talents, and achieve success in a number of unexpected ways. While in the Human Resources field, I was fortunate to learn from a number of mentors who helped guide my career path and inspired me to become a leader in my area of expertise. Having recently transitioned to the highly complex field of Elections Administration, I've been able to experience a truly dynamic environment of constant change and innovation that I'm excited and honored to be a part of. What I enjoy most about working for the County are the many opportunities for career growth and the support it offers its employees in achieving their professional and academic goals. The County fosters a spirit of continuous professional development by offering its employees a number of training programs through its in-house Learning Academy as well as accelerated degree programs in select County facilities. It is my opinion that the County's merit-based approach to internal promotions has contributed greatly to its ability to attract and retain a quality workforce. What I most enjoy about working for the County and my department are the people: the public that we serve as well as my coworkers. Customer Service is the core in all that we do on daily basis. Knowing that someone is satisfied with the work that my coworkers and I have put forth gives me great joy and fulfillment. In addition to the people that I work with and encounter, I have remained with the County because of the stability and opportunities for growth that have been afforded to me during my career. The County is a great place to work, learn and grow! Working for the LA County District Attorney's office has been one of the most rewarding experiences of my entire life. I have worked with the Federal Government; I have lectured and trained foreign delegations and law enforcement officials. I have been around the world, lecturing and training attorneys. Nothing comes close to my experience working as an LA County Deputy District Attorney. I have learned some valuable life lessons within this office; lessons that have formed who I am as a person and that I will carry with me for many years. I have never been so pleased to work for any agency. Working for the County exposes you to great geographic and socio-economic diversity, both out in the field and in the communities we serve, as well as in the office. This is definitely one of the best parts about working for the County. In my work in zoning enforcement, I see immediate neighborhood improvement, impact and change, and that reinforces the fact that what we do truly matters. In addition to this, supervisors and fellow staff are dedicated, experienced and friendly, fostering a strong sense of solidarity amongst every member of the team. The most enjoyable part of my job is it requires the use of critical thinking and problem solving. The County serves millions of people daily and the work we do as County employees makes a difference in the lives of so many of our neighbors and community. Everyday I’m presented with an opportunity to solve a unique problem and devise a solution that makes a real impact. To anyone thinking about becoming a County employee, I’d say that the most rewarding feeling for me comes from knowing that my work helps make Los Angeles a world-class community. I began my career at the age of 17 as a part-time Student Worker with four hours a day in the afternoon assisting the administrative staff. My goal was to make the County a temporary stop until I received my Bachelor of Science Degree in Information Systems and then pursue a real career in the private sector. Little did I know, those same opportunities and much more were offered in the County! I just had to apply myself and take the necessary steps to develop. Every time I wanted to venture out and explore the private sector, another opportunity would present itself. I enjoy the promotional opportunities at lSD that have allowed me to take my career in an entirely different direction. I especially enjoy the support and investment that our management is willing to make in an effort to develop and grow staff and equip them with the necessary resources and tools needed to service the public and our customers. The County is like a family and I am glad to be a part of it. I really enjoy working with and becoming a member of my community. There is a special atmosphere, almost like a family, that has kept me here. I love meeting new people, teaching new employees about a work ethic, and staying healthy. Working for Parks and Recreation has made me an out-going person. I’ve really learned how to interact with the public and other team members. I take a lot of what I learn at work and apply it to my personal life. I essentially began my legal career with Los Angeles County Counsel. The last year has brought a tremendous amount of opportunity to learn and grow. When I describe my work as a young attorney here, I like to say it is a great deal of responsibility without the pressure and stress facing my junior attorney counterparts in other firms and organizations. My assignment requires a great deal of client interaction and the handling of my own case load, but in a supportive environment where help is happily provided. County Counsel is full of very experienced and talented attorneys. No one is ever too busy to answer a question, discuss an issue, or share their knowledge. The resources here have allowed me to develop new skills and sharpen the ones I brought with me. Training and development remain a focus, even with attorneys who have been with County Counsel for years. I feel like I am investing in my career with Los Angeles County and the County is investing in me as well. When I am asked about working for Los Angeles County, I highly recommend it. At any level there are constant opportunities for growth and development. Many of my colleagues have practiced in very diverse areas of the law throughout their careers here, which I believe is a rare benefit that County Counsel affords. 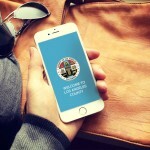 Los Angeles County embraces new and innovative methods to improve delivery of public services in the ways that our constituents want to use them. As an IT professional, it excites me to be a part of the planning and implementation of new technologies that will change our perceptions of what government is and what it can do. It is very rewarding to be able to collaborate with multiple departments and agencies on a technology project and then to see its impact on service delivery and ultimately on those who we serve. This process never stands still, so there are always new business challenges and technology solutions to keep your experiences varied and your skills sharpened. I would encourage IT professionals to seriously consider opportunities in the County. You will have the opportunity to directly and indirectly impact the lives of real people, many of whom have nowhere else to turn. There is a perception that government is stagnant and increasingly bureaucratic, but in my time working for the County, I have seen a shift in both the culture of local government and our approach to Information Technology.